Remember last year when your friend made you go to Union St and you bitched to everyone that you had to go to the Marina? You were actually in Cow Hollow. The Marina District is North of Lombard St. See? Things are looking up already! 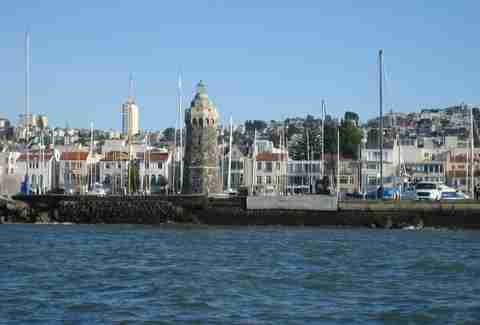 And Angel Island. 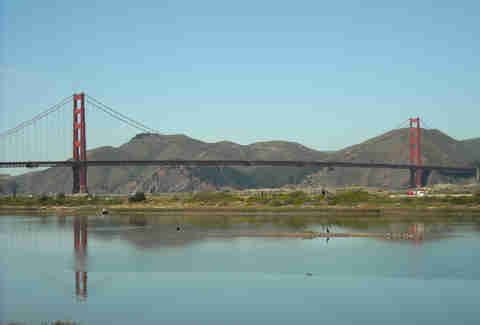 And the Marin Headlands. And Fort Point. And Alcatraz. 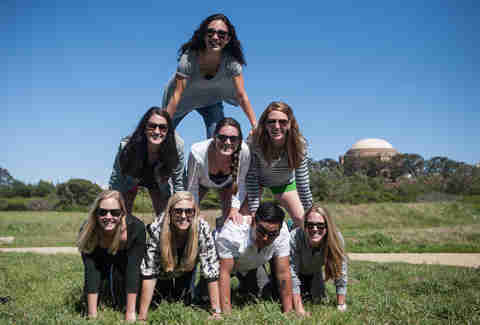 Basically, you can bring your tourist friends to Crissy Field and get all of their sightseeing accomplished in 15 minutes. 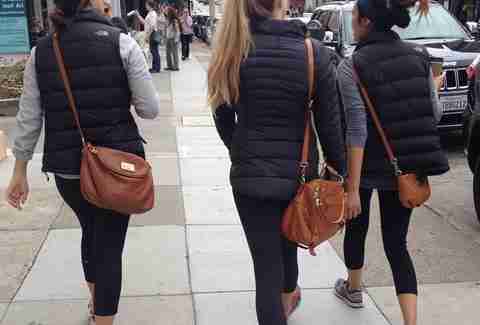 You can mock the yoga pants uniform all you want, but when’s the last time you went to back-to-back spin classes? Exactly. There it is again, one of those 15 SF secrets you had no idea existed. Bring an adult beverage here during high tide and listen to the 25 pipes in this acoustic sculpture gurgle and sing. 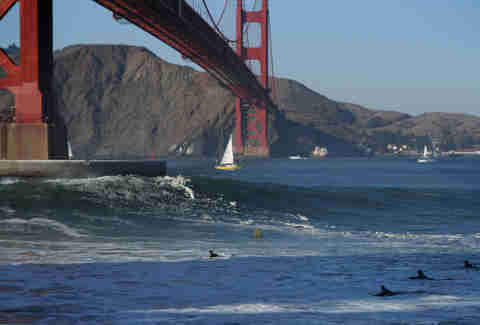 Fort Point is an iconic surf spot known for its amazing view (and its intimidating rocks and strong currents). Still, though: the view! You like food trucks, right? 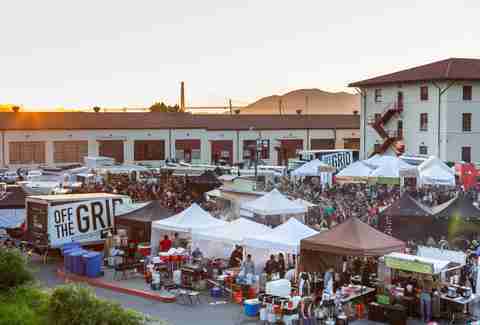 Fort Mason is home to California’s largest weekly evening street food market. Over 30 vendors, local wine, beer, cocktails, and live music set up every Friday from 5-11pm. Also: secret menu items! A16, Bistro Aix, Mamacita, Pluto’s, Isa, Super Duper, Zushi Puzzle, The Tipsy Pig, and yeah, we’ll even throw Greens on the list because, as far as vegetarian food and sweeping views go, it’s legit. Yes, Lucca gets its own special entry. 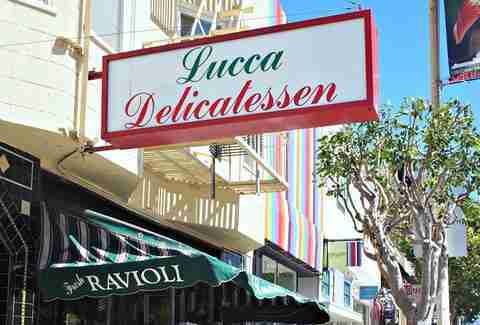 This classic, 85-year-old Italian deli has amazing sandwiches and even better ravioli. 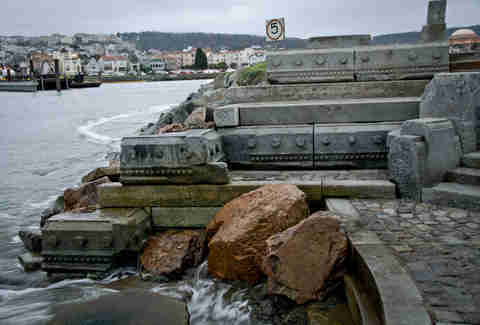 The Marina used to be all marshlands and tidal pools, but when it was chosen as the site of the 1915 World's Fair, it was leveled out and filled with sand and sludge. 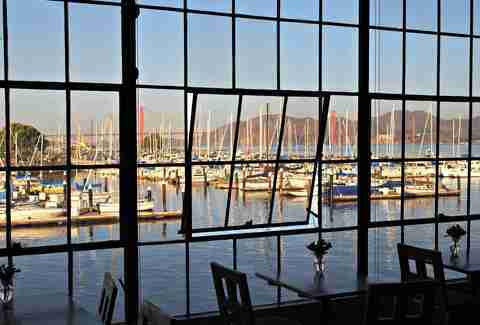 Today, it’s a bustling neighborhood built on landfill that, thanks to the Marina’s high water table, quickly liquefies during an earthquake. 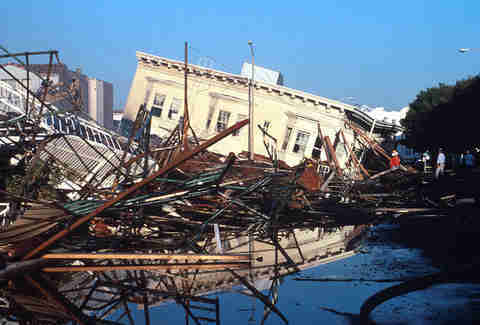 Meaning: foundations collapse, buildings are destroyed, gas lines break, and fires start. And yet, people still choose to pay thousands of dollars a month to rent there. Sure, it may be stupid, but it’s also pretty badass (we say from the comfort of a building that’s firmly ensconced in bedrock). 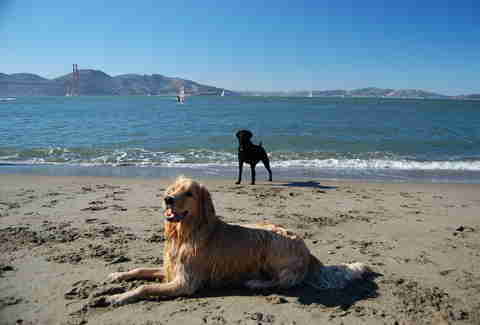 Off-leash (Crissy Field East and Central year-round, and West from May 16th to June 30th). And if that’s not enough: there’s also a dog washing station. 'Cause people with fancy SUVs don’t like to get them dirty. Or at the very least tolerate it. You can handle that much, right? 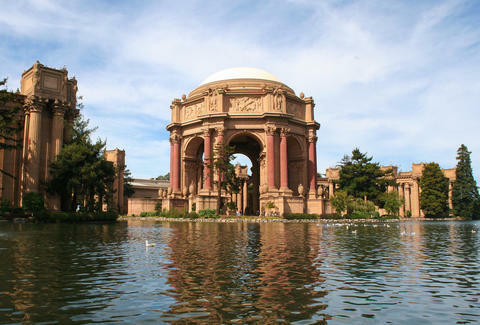 Daisy Barringer is Thrillist's SF Editor and she's really bummed Marina Subs is in Cow Hollow and therefore couldn't make this list. Follow her on Twitter @daisy.